In a real casino, many goodies are available to you when you play, for example, casinos can offer free drinks, room gifts and delicious food. However, unless you are a bona fide high roller, they are not going to give you free play or special birthday presents to thank you for being a constant player. Online casinos are always coming up with new promotions to motivate their customers. For example, Silver Oak’s monthly promos are a great way to get tons of extra value in your slot play. Plus, online casinos always reward their clienteles with goodies like free birthday chips, free spins and lots of bonus coupons, which leads us to the second point. Take my word for it, finding a live casino that decides to give you an extra $300 with your $100 deposit is a preposterous feat. In any land based casino, the managers are not interested in shelling out special promotions that will actually better the chances to hit jackpots. In these casinos, the most you can get would be an extra $50, tops. 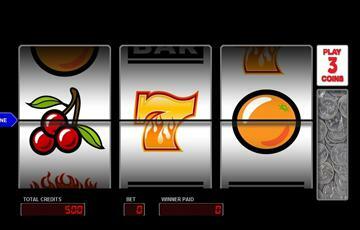 In contrast, online casinos can afford to do tons of deposit bonuses and special entry promos. For example, Silver Oak casino offers 100% extra on your first 10 deposits, giving you the possibility to earn up to $10,000 free to make your wildest slots dreams come true. We are not talking 50 measly dollars here, we are talking thousands! Plus, our no deposit bonuses are unbeatable for both live casinos and other online places! This is a no-brainer. When you are in a casino in Vegas or really anywhere else, getting money to continue playing is an insurmountable hassle! Most ATMs in casinos have barbaric fees, or, if you decide to go to the cashier, the casino will also charge you a levy to get from money from your credit card. These headaches can be spared with online gaming. Depositing takes a matter of minutes in most online casinos using your debit and credit cards or online banking services. As an example, Silver Oak Casino offers many methods to deposit: Click2Pay, My Payline Q, Moneybookers, Neteller, Prepaid cards, Bank transfers, PersonToPerson, ECheck, and moneyline wallet. There is nothing more stressful that walk for aisles and aisles of slots and not finding an available spot. Even if there is a spot, it might be a type of machine that does not crank you up and gets you ready to play. In opposite, online slots are always available for you and you have a huge variety of machines to choose from. You can play surrounded by have dragons, fire, princesses, soccer, knights, models, derby, ninjas, cowboys, elves, luxury, action adventure, etc. You name it, we have it! Furthermore, you can decide how many reels you want, your bet amount, what types of jackpots interest you etc. The sky is the limit! Online casinos provide slots tournaments on a daily and weekly basis. Plus, they frequently give out free chips to enter in them or special codes to access high profile tournaments that come with huge prizes. In fact, most prizes in these tournaments are extremely attractive and varied, making it not only a super fun experience but a highly lucrative one! So, basically, what I am trying to say here is that slots rule times infinity! I know you probably knew it already, but it does not hurt to remind ourselves why we love them so much! And, even if you are a slots rookie, we promise you will have a blast when you try all the slot wonders at Silver Oak Casino!